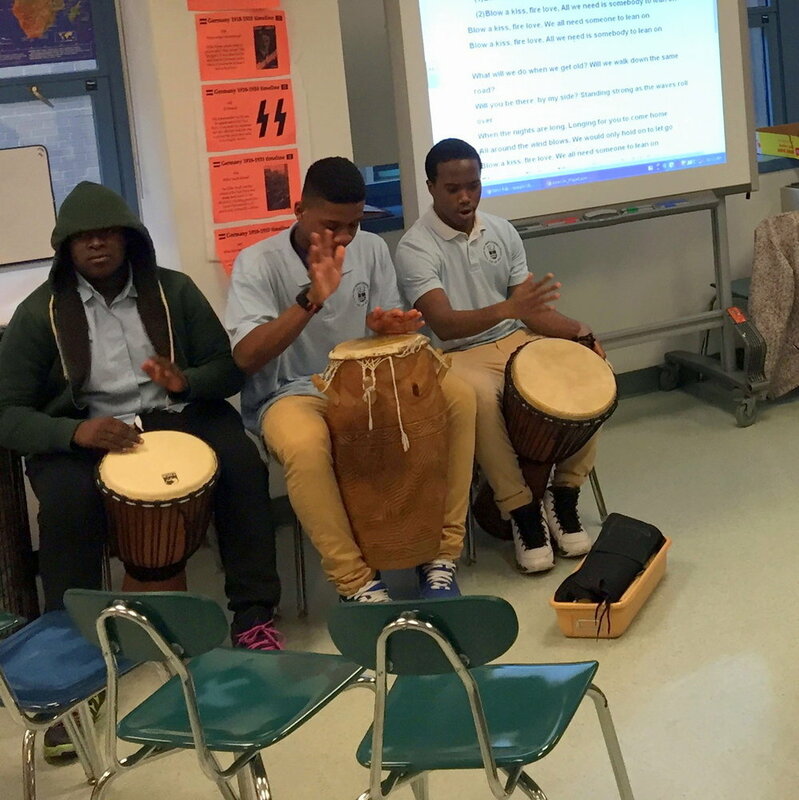 A music class in action at Urban Assembly School for Law & Justice. "ETA has been an essential thought partner for our small school. As a first-time principal, I have benefited greatly from their guidance. ETA's coaching has made it possible for me to envision how the arts can be alive and well in our school for many years to come." Paul-Ann, ETA Intern with Downtown Community Television, brings her vision into focus. "Through ETA's Arts Internship Program, I made many special mentors and formed a second family. I felt safe, and I felt as if I mattered. 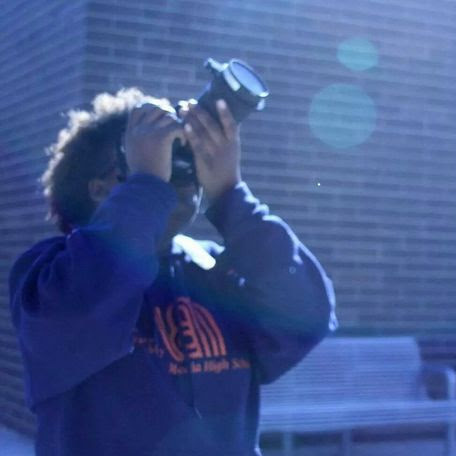 My internship helped me develop the skills that got me into film school for college, and it made me realize that I do have a voice and the means to tell my story." 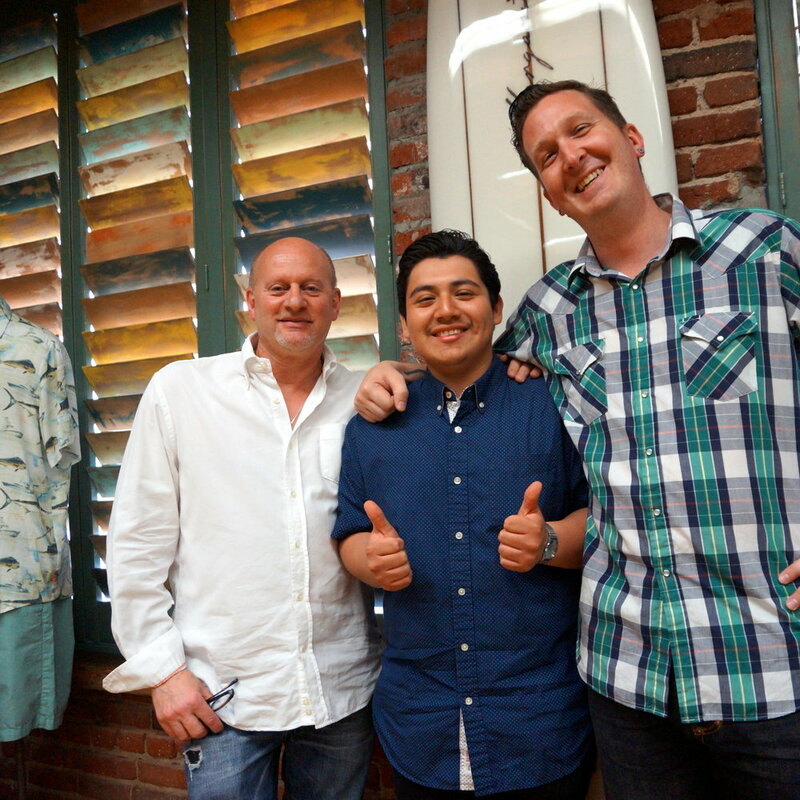 Julian, an ETA Intern in fashion & graphic design, with his mentors at Margaritaville Apparel. "I loved ETA's Arts Internship Program! Working with professionals around really inspired me, because their work ethic is so strong. Tony & Susan visit a painting class at Brooklyn High School of the Arts. "Sometimes the funding is not there in a public school to purchase costumes, to hire choreographers, or to get musical instruments repaired. We have gained access to so many different resources because of ETA. Since we started working with them, a lot has changed for our students."